Harold Matzner: The name may be as synonymous to the Palm Springs International Film Festival as one-time MGM Studio chief Louis B. Mayer is to the Academy of Motion Picture Arts and Sciences. Matzner, who as CEO of a New Jersey-based branding, advertising and marketing distribution firm divides his time between the East Coast and Palm Springs — the place he calls home — has never given the festival short shrift. Playing a behind-the-scenes role in its production for 18 years, Matzner is the quintessential chairman of an international event that puts a glint in celebrities’ eyes, fills hotels, restaurants and second homes and draws upper-crust corporations the likes of Cartier North America and Mercedes-Benz. 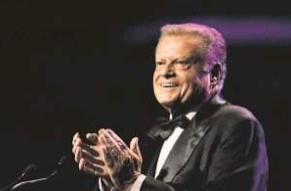 Ask Matzner to talk about the awards gala that puts Palm Springs at the center of the world’s cinematic spotlight — the media impressions it creates has been put at $35 million — and he demurs. But even as Matzner rattles through the list like a row of film credits, those close to the man known for tromping through the desert in his classic tennis shoes and puffy down vest sum up his film festival might with four words. “There were a lot of people who came before Harold who were the forefathers of this event,” said David Baron, a festival board member and principal with the Palm Springs law firm, Slovak Baron & Empey. “But Harold, in my view, not only kept the film festival from financial ruin, he provided the intellectual and financial energy — and the creative sense — of what the film festival could really become. Described as an “immovable force,” Matzner juggles a staff of 400 on two coasts and mid-air in a private jet he uses as an office. He works incredibly long hours. He delegates. He doesn’t suffer fools. Those who know him marvel at his aplomb. Level-headed directness. Wit. Expertise. Team spirit. Some have described you as the grandfather of the film festival. Does that characterization work for you? It definitely is kind of like that. I developed the awards gala over the last 10 years. It’s my primary responsibility. When (the late) Earl Greenburg was partnering the festival with me, I still had the operations responsibility for the gala. And the developing and marketing of it has turned into a tremendous driver of the way we are perceived as a city and as a market throughout the country and, to some extent, the world. The gala is the event that gets us — in Palm Springs and the cities throughout the valley — perfect branding exposure. They see palm trees and celebrity glamour at a time of the year when the rest of the world is struggling with cold and snow. It’s exactly the right time to reach them. It certainly brings tourism here, and people who decide to live here permanently, and generate business for the valley throughout the year. It couples up nicely with the sporting events we have — all of which bring results and keep our name in the eyes and minds of the country, and the world. A phalanx of photographers have been on hand to cover this event — the awards gala in particular. What’s that media exposure worth? We generate 1 billion impressions. That’s probably worth $25 million. That makes this an advertising event. Tourism leaders like Aftab Dada have said the awards gala and film festival is the event in the valley that gets the most free advertising and publicity. That’s very important, and very true. Every single national entertainment show carries this. Entertainment Tonight, as the primary sponsor, gives us 15 segments with an average reach of 22 million viewers nationally and internationally. That’s over 300 million electronic impressions. Last year, Entertainment Tonight gave us three, 6-minute segments the Monday after the Film Festival. Just a few nights ago, the entire country saw our lineup of talent. That’s enormous. Was the film festival a difficult sell initially? I’m a marketing person. That’s what I do. I understand how to work with the press. I build businesses, so we came up with a business plan and we implemented it. The tricky part was getting enough Hollywood celebrities here to make the press want to cover the event. Who was the kingpin who helped you do that? Ronni Chasen, who recently lost her life in a tragic way, was the key. She was a very powerful person in Hollywood. She had tremendous credibility, believed in the future of the awards gala and the film festival, and put her support behind it. She was able to get us enough of the Hollywood flair to attract quite a bit of press. I think the ET sponsorship that Earl Greenburg and I brought to the festival was critical; that was about eight years ago. ET immediately treated our star contents in a serious way; that helped our electronic coverage by all of the networks and syndicated shows to evolve to the point where it is today. We’re now covered by every single one of the entertainment shows. That was a natural progression; and Ronni Chasen was a big deal in this equation. Her death has been a tragic loss for the entire festival, and for Hollywood. How does having a presenting sponsor like Cartier and Mercedes-Benz add to the awards gala panache? There’s no question that Cartier and Mercedes are making the statement that our brand matches their brand. The chairman of Cartier made that point on stage a few years ago when he said the Cartier brand and the film festival brand match up together perfectly. Without question, Cartier and Mercedes are the right kind of sponsors to add to the credibility of the festival since they are so upscale and successful themselves. Those two brands encourage other advertisers to look at the festival as a real marketing proposition. Has the economy had an impact on the level of corporate sponsorship? We’ve held our market share during this time. And that credit goes to the Cartier and Mercedes relationship, and the power of the awards gala itself. What is the appeal for sponsors? The Palm Springs International Film Festival is one of the two or three largest in the country. In many ways, we’re bigger than Tribeca Film Festival in Lower Manhattan. They have people out on piers watching free movies. We put 130,000 people into (theater) seats. We run 15 screens from morning to night for 12 days; that’s pretty amazing. If you count Student Day, it’s 13. This is a wonderfully successful event in every possible respect. For major sponsors like Windermere Real Estate, with 700 employees in the valley in 15 offices, it is used as a sales opportunity for important clients — sellers or buyers. Its connection with an event that’s beloved, one with the star power and glamour and credibility that it has, gives Windermere a lot of exposure. It is a builder for their business and suggests to the public that they are vested in the community — even when times are tough — and are trustworthy. Public trust is critical. This is one way to build it, while creating reach at the same time. Who are some of your newest advertisers? Eisenhower (Medical Center) just stepped in, and Penfolds has been an interesting addition: an Australian wine company that’s launching a campaign to send a percentage of sales for its products to an organization to do battle with AIDS. What’s the local business spinoff? It brings people into Palm Springs at a time when the town would be absolutely dead. Renaissance Palm Springs Resort is sold-out, as are many other hotels in the valley. I’d estimate we will sell 14,000 rooms during the festival; that doesn’t count every one. Many people stay with friends, rented homes or condos, and are untraceable. Others drive in. Our surveys show that 67 percent of the people who come to the film festival come from outside the valley; when they do that, they spend new money in the valley. They do spend a lot of time in the theater, but they have to eat, buy essentials. And the restaurants do well. You can’t get a table at Sherman’s when these films break. How has the film festival fared in this economy? Film does well during bad times. People want to be entertained; that is a historic reality. And we have done well during these last three years. We have 450 people working at the gala; some are volunteers, but a majority are paid employees. This is close to a $6 million event, and we have stayed in the black. We’re fighting to do that again this year, and I think we will. What hooked you to the film festival? It was the year it nearly went bankrupt. It couldn’t pay its bills in 1999. It couldn’t pay the Convention Center or American Express. It owed $600,000, and at the time was only running on a budget of $1.2 to $1.3 million. I was afraid we were going to lose it for the city, and it is the most important event the city has. It’s the only national, non-sporting event the entire valley has. I knew it could be a very important branding event for the city and the valley. So, I became chair and CEO for one year. John Wessman was co-chair that year. And then I found an executive director. Earl Greenburg came on the scene, and working with many other key players — like Ronni Chasen, the Houstons and (festival director) Darryl Macdonald — we worked to build this event. What’s your favorite part about the film festival? Besides watching it all come together, being in a place I call home, where over 250 important media reps are on the red carpet alone. It looks like the Golden Globes, and the scale of the event is actually bigger than that. We take the auditorium and create a major stage presentation in a little over 48 hours. It’s amazing, just from the sheer size of it. Simply, that it’s about film. This is a wonderful, nonprofit event that does an outstanding job for the community. And they embrace it. I love what film does in regard to chasing culture and ideas. I think film is a great teacher. I’m not telling you. Darryl would make a lot of fun out of me.